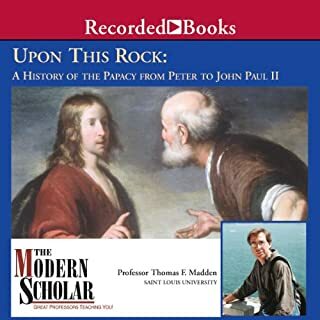 Professor Thomas F. Madden leads these compelling lectures, focusing on a Church both adapting to a world in flux and striving to exert its influence and power. Throughout modernity, the Church responded to and weathered a host of major world events: the Enlightenment, the French Revolution, colonization of the New World, and of course the World Wars. As the face of the Church, the popes affected Catholicism in ways that can only be truly understood from a careful examination of the past. 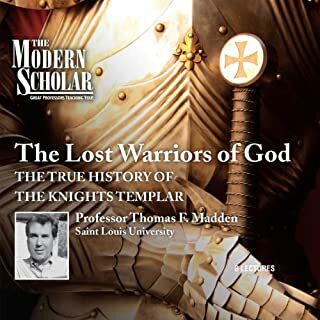 This is a history populated with larger-than-life characters and notorious personages such as Charlemagne, Pope Innocent III, and the Knights Templar. 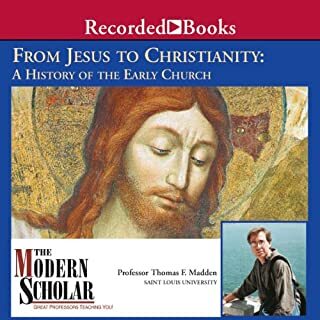 Richly detailed and infused with dramatic intensity, Professor Madden's captivating lectures provide a better understanding not only of the Medieval Church, but of the modern world that followed. 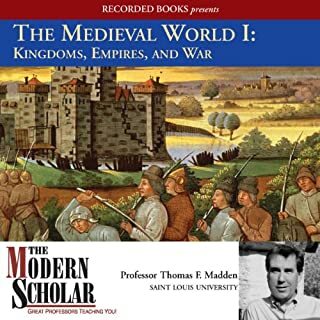 Would you listen to The Modern Scholar again? Why? 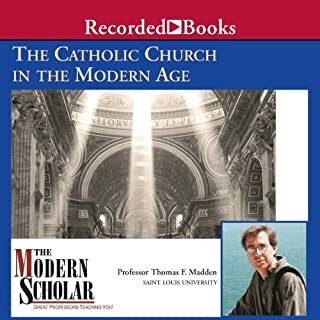 Yes, compared to the Great Courses overview of the Catholic Church, it was a fair, clear, and comprehensive chronological overview of the Catholic faith. The information is provided in a clear and concise manner, that is easily recalled later. Loved it! A great listen. 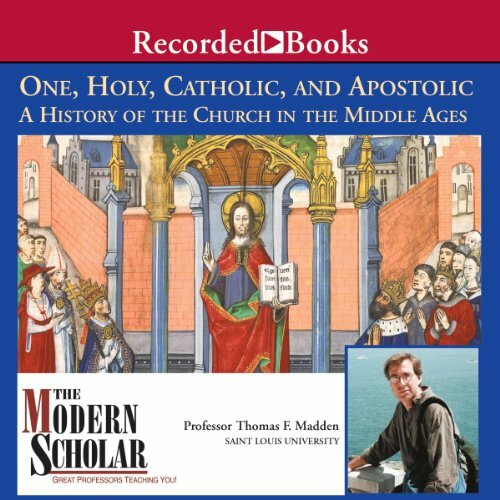 If you like the middle ages and/or the Catholic Church, you will love this audio book. The delivery can be a little dry at times, and you may need high-quality ear buds to ensure a non-muffled sound, but overall, I thoroughly enjoyed it. Thanks Mr. Madden! 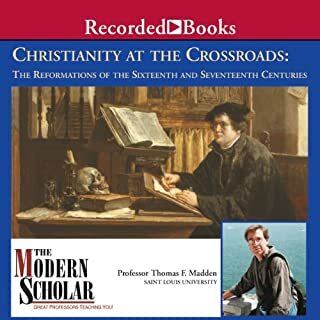 What other book might you compare The Modern Scholar to and why? I have not read any book that offered such a comprehensive history of the Church in the Middle Ages. Who would you have cast as narrator instead of the narrator? I suppose I did have an extreme reaction to the book and it would be closer to "cry" than to "laugh." In the aftermath of the Second Vatican Council in the late 1960's, when so many Catholics were questioning all of the radical changes to the liturgy, we were told that the changes actually restored our religion to that of its early years. This is obviously hogwash, as the author clearly shows. The Church of 10th century was in most fundamental respects the same as the pre-Vatican II church of the 1950's. The current Catholic Church, by comparison, does not even seem "Catholic" (or holy, or apostolic). That was a shocker to me. This professor does not narrate something he wrote, he just wings it, apparently with bullet points in front of him. So it's fresh and natural; he speaks in a conversational manner. That's good, but if you want lively and engaging you've come to the wrong place. That's not his personality. He knows his history and lays out the material sensibly. I'm running while I listen and can't take in a lot of information quickly, so his slow talking is a plus for me. But it may not be for you.